Wildcard Module allows us to work with Dynamic URL and Sitecore wildcard items. Problem: In Sitecore instance, Wildcard module was working for a page when we initially configured for the first time. When we deleted that page and recreated that page again, wildcard module was not working. And it was not working for the newly created page in Sitecore. In Code-behind, it was not able to match the tokens in the particular URL. Solution: In Sitecore \System\Modules\Wildcards\Routes\<BlogRoute>, we need to add items to create the rule for wildcard replacement. In that, we will be adding the pages to which wildcard to apply. When we add pages to Data Items, wildcard module will replace with tokens only to pages which match this Items Collection (GUIDs). So in order to use this wildcard route in other page or newly created page, we need to add the page explicitly in this data items as shown in below diagram. By doing this, Sitecore Wildcard module started to work for newly created page. For every newly created page, we cannot add the page to this Item collection automatically. If someone finds the solution to resolve this issue, it would be a great help. !!! Go to Web.config file and find a setting named “Media.RequestExtension” and remove the extension value. Remove ashx from the value. Go to Web.config file and find a setting named “ItemNameValidation” and change the validation to allow dots. 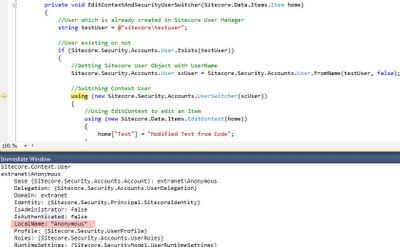 If current context user doesn’t have permission to access this item, Sitecore will return null or throw exception. Note: It is recommended to provide context user with appropriate rights than using SecurityDisabler or UserSwitcher. SecurityDisabler will elevate the context user to have administrative privilege and so context user will be able to do anything on the system. UserSwitcher allows a segment of code to run under a specific user instead of current context user. Sitecore will throw exception when editing an item if the item is not in editing mode. There are two ways where you can put an item in editing mode. If previous statement passes, automatically item changes will be committed. If previous statement fails, automatically item changes will be rolled back. 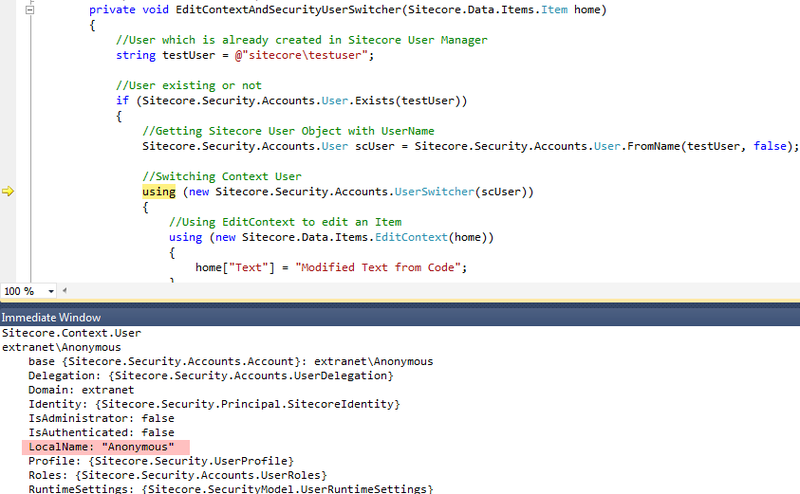 Unless and until, we call EndEdit() or CancelEdit(), Sitecore does not commit the changes. Closure of Using in EditContext will implicitly commit any changes within that segment of code and also calls dispose(). If item does not exist or current context user doesn’t have permission to access this item, Sitecore will return null or throw exception. Case is Insensitive while using path to get the items. Note: Add Sitecore.Kernel.dll reference to project. Sitecore Content Editor primarily interact with Content database i.e. Master Database(by default). To get the content database, use the following property. There are three methods to work with Sitecore Database. 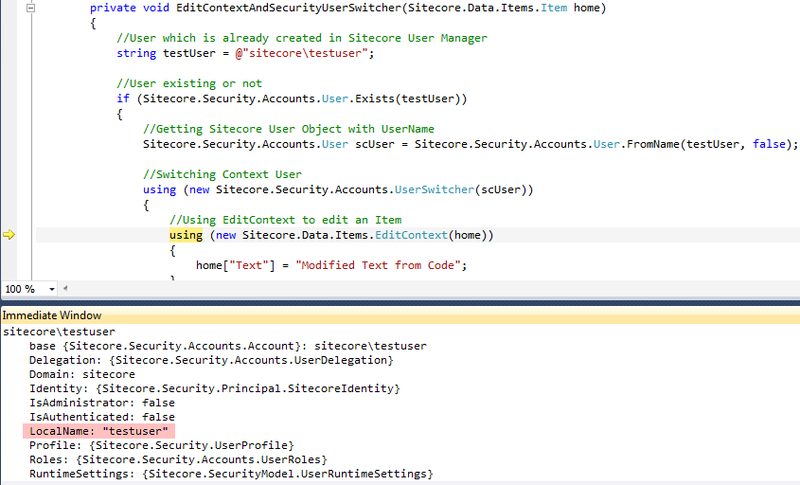 To obtain it, you have to use Factory class Sitecore.Configuration.Factory. 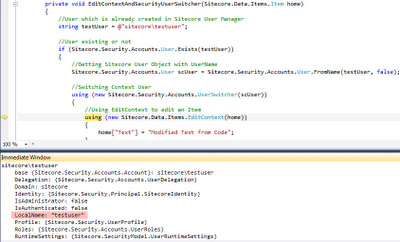 You need to pass Database name as a parameter and it will return Sitecore Database Object. Note: “DBName” should match with ID of any /Configuration/Sitecore/Databases/Database and it is case sensitive. GetDatabaseNames method returns a string array with list of Database Names added in /Configuration/Sitecore/Databases/Database. GetDatabases will return a list with all the Sitecore Database Objects configured in /Configuration/Sitecore/Databases/Database. Sitecore has 3 databases: Core, Master and Web. Core has Sitecore Components; Master has all versioned files and unversioned content; Web has only latest (published) content.